Once a powerful facility in the region, the German owned Deutsche Welle radio center at Kinyinya hill outside Kigali is finally and completely shutting down. It's no more. In 1965, Rwanda leased 68.4 hectares on Kinyinya hill for fifty years to the Germans - that later set up a massive facility to boost Deutsche Welle, Germany's international broadcaster. "We are stopping our short wave transmitters today and then next week we will start dismantling them and the masts in order to meet the deadline of August when our license expires,"
said Bernhard Ahlborn, the deputy director of Deutsche Welle. On March 28, 2015 the facility stopped its operations, to begin dismantling their equipment, to pave away for the handover of the Land to Rwanda government. The Germans will today hand over the premises of the relay station with its infrastructure to the Government of Rwanda, to mark the end of 50 year concession agreement. The Deutsche Welle relay station in Kigali has been serving African and the Middle East audiences. It was the only firm facility of the kind that was remaining. The Germans had similar facilities in other 60 countries. According to officials at Rwanda Utilities Regulation Authorities (RURA) the land, plus houses that were developed in the area will be handed over to government of Rwanda. 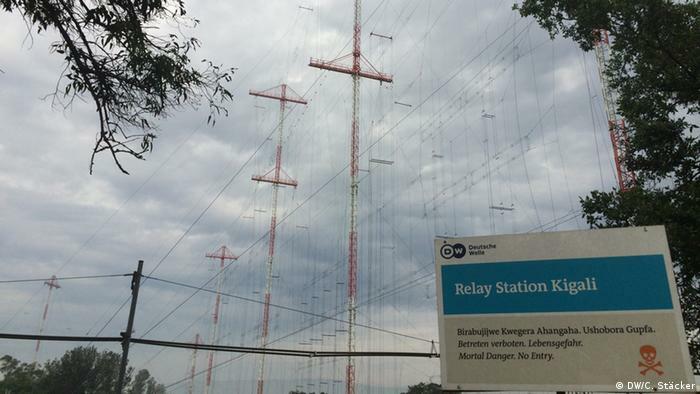 The annual operational cost of Kinyinya transmitters was said to be EUR3.3 million (about Rwf2.7 billion), but it is alleged the firm was making loss, hence giving up its relay station in Rwanda. With new technology, Frequency Modulation (FM) and internet available, the public finds no need of switching to short wave radio signals. Today, Rwanda government officials from Ministry of Foreign Affairs and Ministry of infrastructure and the Germany Embassy will witness the handover. The Deutsche Welle property is adjacent to hundreds of hectares of land that was acquired by Rwanda Social Security Board (RSSB) to develop affordable housing units. (KT_Press, May 31, 2016. By Jean de la Croix_Tabaro.